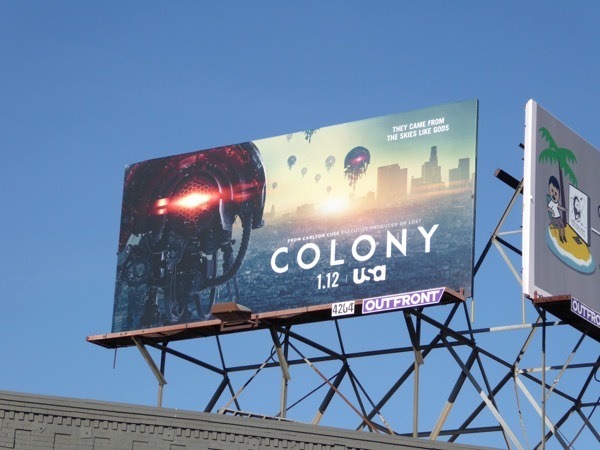 From the looks of these billboards, Colony is embracing its futuristic science fiction roots for the series second season. 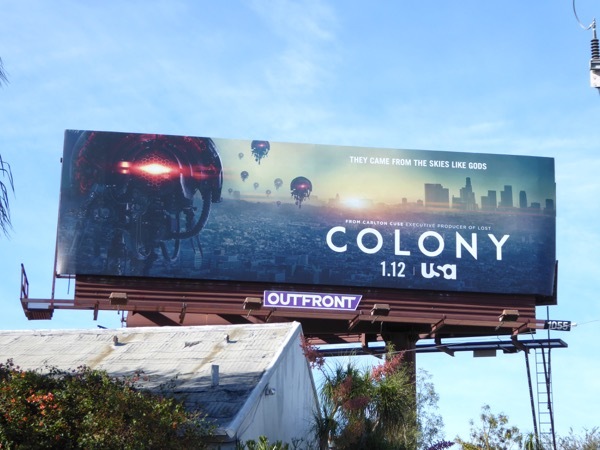 Hopefully this year we'll get to see more of the extraterrestrial 'Hosts' arrival, how they built the gigantic walls around major cities like Los Angeles and what their motivations are, and if humanity has any hope of repelling them. 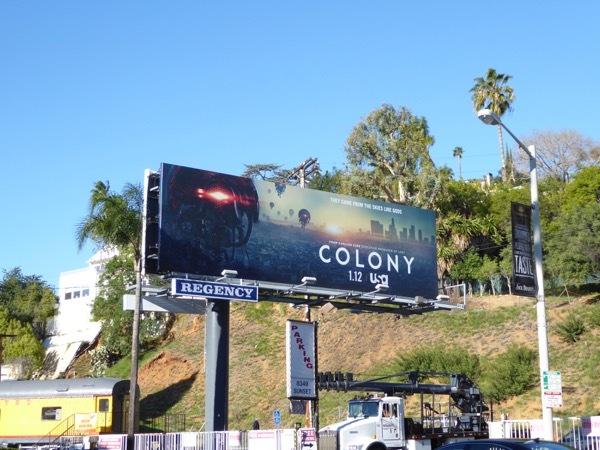 And whilst Josh Holloway will be looking for their missing son this season, his onscreen wife Sarah Wayne Callies will be dealing with the ramifications of working with the resistance in this alien invasion and occupation drama. 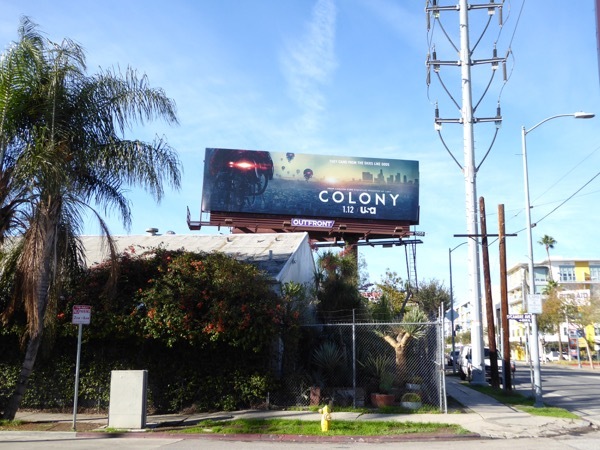 These sophomore season billboards for Colony were snapped along the Sunset Strip, Sunset Boulevard and Santa Monica Boulevard from December 29, 2016 to January 6, 2017. 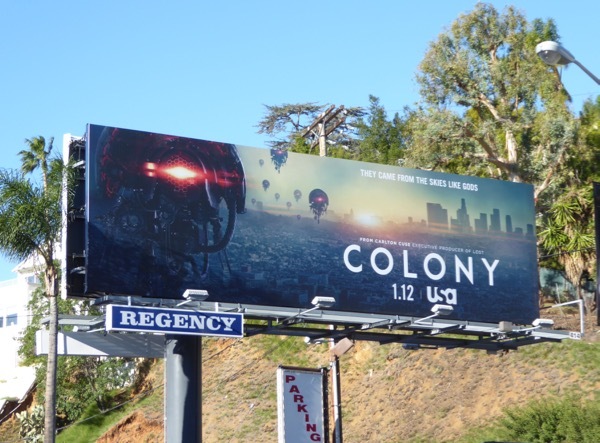 Fans of the USA Network's original sci-fi series can also enjoy these Colony season one billboards from around this time last year. 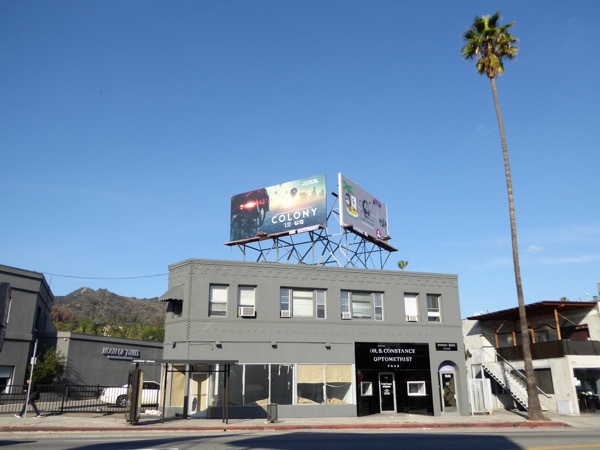 Giant walls, militarised police forces, propaganda, collaborators, curfews, security checkpoints, resistance fighters and drones that can kill you on sight, let's hope that this isn't a vision of the future that will ever come to pass in America.